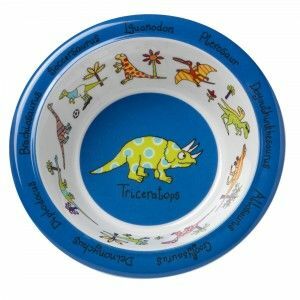 Made from durable melamine, these Dinosaurs print bowls are perfect for outdoor dining and everyday use. A good size for kids portions, colourful and fun they are also dishwasher safe. Matching beakers and plates are available.